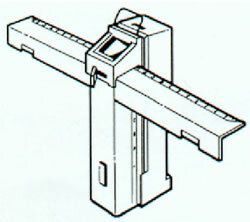 This low cost, pocket sized reader is suitable for viewing microfiche, jackets and aperture cards at 24x reduction. It operates on batteries, ambient light or vehicle adapter. 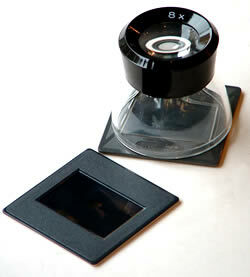 Constructed of high-impact plastic and weighing only 340g (12oz), the Microfilm 11 comes with a vinyl carrying case. A3 ENGINEERING - DUAL LENS - GREY - Image Rotation (Both lenses) - Choice of manual and motorised open roll and cartridge/ C-Clip carriers - Plastic and Metal construction. 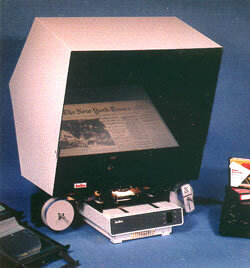 Front projection onto back board - Unique fold flat reader body for easy transportation. 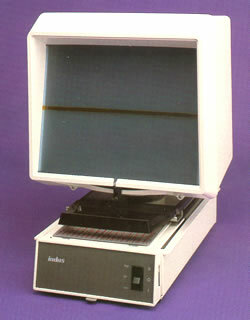 100x Stand Microscope - ideal for resolution chart checking - also 25x, 50x and 75x versions.